Maggie Pill Mysteries: Book Release + Giveaway: This Is the Week That Is! Book Release + Giveaway: This Is the Week That Is! 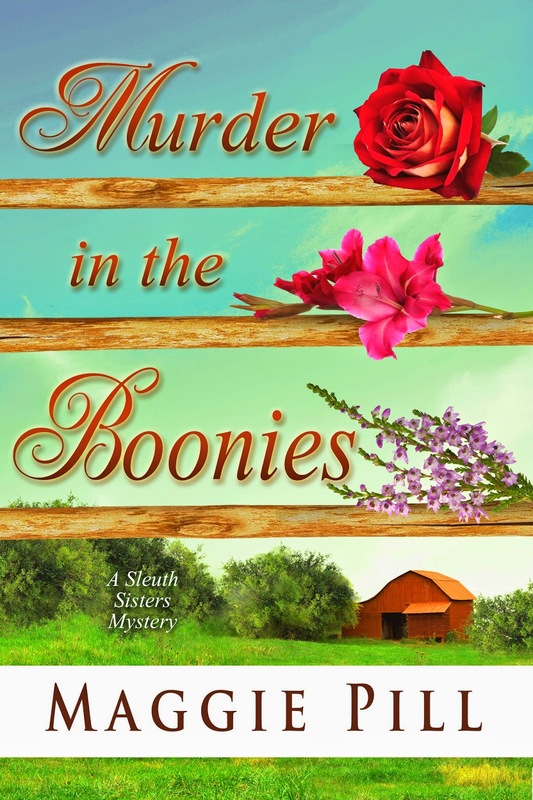 Anyway, this week is the release of the third Sleuth Sisters book: Murder in the Boonies. It's available in print now on Amazon and at Ingram. The Kindle version goes live on Wednesday, so all of you who pre-ordered should have it show up on your device then. This one concerns the sisters' family farm, which Retta manages, renting the land to a local farmer and their parents' home to a man, woman, and her three daughters. When they move away abruptly, the sisters become suspicious, fearing at least some of them didn't leave voluntarily. To make matters more complicated, the renters leave behind their animals, and the sisters have to figure out what to do with them. Strange things happen. Strange men appear on the property. And strange ideas lead to danger for not just Barb, Faye, and Retta but for a lot of others as well. Here's something for my blog readers that the rest of the world won't know. The farm is real, at least for the most part. I grew up on one very much like it. I combined several farmhouses to make the Evans home, my grandparents' and two aunts' houses. The barnyard is pretty much like the one my dad and grandfather had, and yes, in the springtime it smelled really bad. There are reindeer. Since I didn't know a thing about them, I interviewed some friends who used to raise them. Some things I would have assumed about the animals, like that they're shy, were completely wrong, and Paul and Debbie straightened me out. I'm so grateful for their input. 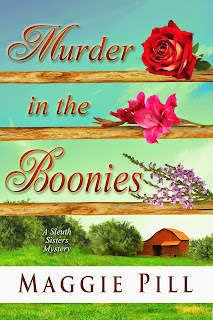 In order to celebrate the release of Murder in the Boonies, I'm giving away Kindle copies of Book #2, 3 Sleuths, 2 Dogs, 1 Murder. Just go to Amazon and download it between May 22nd and May 26th. I hope you enjoy the Sleuth Sisters' new adventure. As always, it was fun to write, since I'm a little bit Barb, a little bit Faye, and even a little bit Retta.